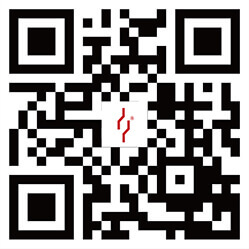 FCDrefers to nodular cast iron; FCD450 for example, 450 refers to the tensile strength of 450 Newton per square millimeter (450N/mm2), and with ductility. Use furan resin with hardener and sand added, and the furan resin and hardener will be attached to the sand surface. 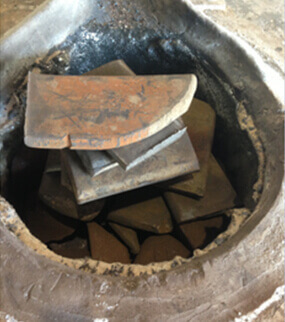 The mixed sand spread evenly on the mold; after a period of time, furan resin and hardener produce chemical reactions to make the sand harden. 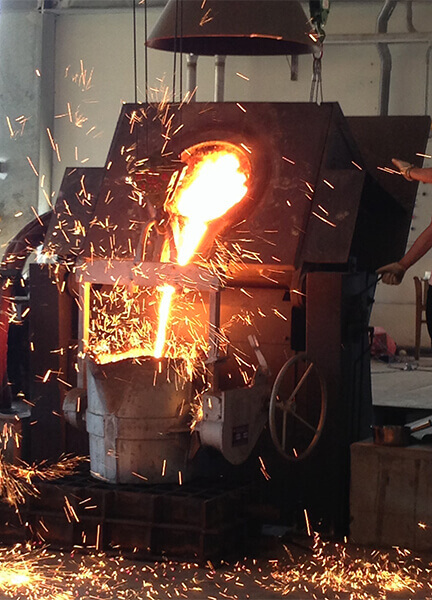 The brand used is a high-quality melting furnace from INDUCTOTHERM GROUP (VIP Furance). 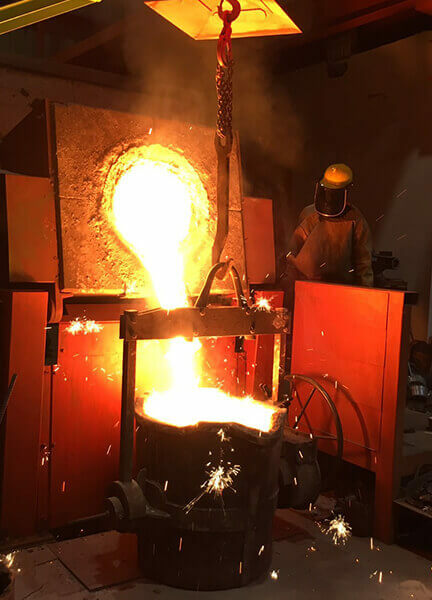 In the melting furnace to add Brazilian milling iron, scrap, alloy materials, in accordance with the customer's desired material to add a certain percentage. 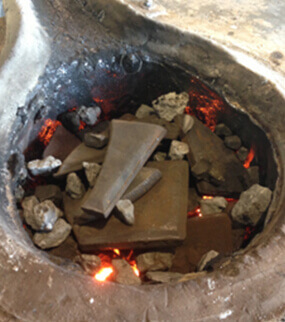 According to the pre-confirmed mathematical model to calculate the iron melt carbon equivalent (CE), carbon content (C%), silicon content (Si%), and other indicators of rapid analysis of cast iron furnace, gray cast iron and nodular cast iron alloy material are decided by the proportion of carbon silicon, according to the composition of iron melt to be adjusted. 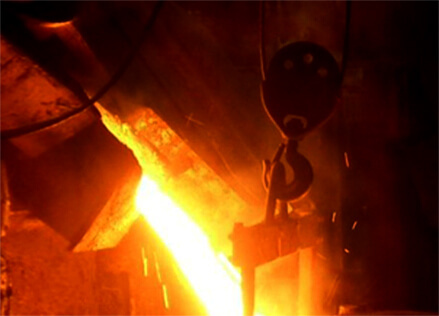 In case of customers with special material needs, before iron melting, we will confirm the proportion of the alloy components contained in the iron melt if reaching the customer's requirements. 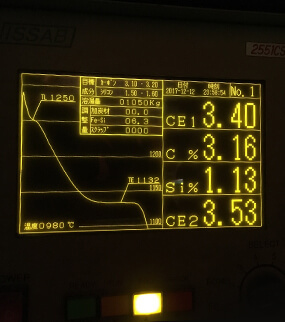 Instrument of mechanical property testing, the testing includes: 1. Yield strength 2. Tensile strength 3. Elongation (mainly nodular cast iron). Observe if the structure produced by the metal meets the needs, the resulting products will be resulting microstructure differences according to different processes and the addition of different alloys. 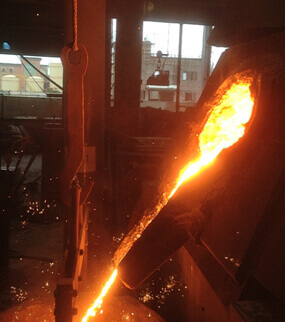 Measure the hardness of finished castings to ensure compliance with strength specifications. For the discontinuity of iron, cobalt, nickel, and other magnetic materials, it results in magnetic lines exposed to attract the magnetic powder, and can indicate defects on the surface of the material or subsurface to detect cracking.